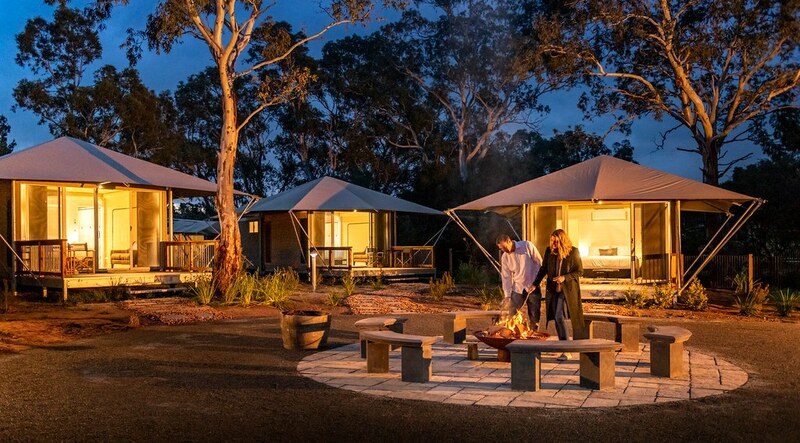 You've seen them in the high-end African safari camps and the remote Australian eco-outposts, but now you can enjoy a 'safari' glamping experience right in the middle of South Australia's Barossa Valley – albeit without the megafauna. Discovery Parks – Barossa have just launched their own mini safari camp in a secluded section of their Tanunda park. The private enclave within the park contains 12 eco-friendly safari tents set 'outback style' among mature native redgums. These are no 'pole and peg' tents either. Steel framed and wrapped in galeproof tarpaulin, they are permanent, sturdy structures. The central firepit is a natural meeting point in the common 'hub', adjacent a resort-style lap pool and undercover picnic and BBQ area with dedicated equipment. When Vacations visited, we were quite likely the first guests in our tent, already pre-warmed with reverse cycle air conditioning against the brisk mid-winter weather. Inside there is a couch, occasional table and narrow sideboard. Meals are best enjoyed on the covered patio where there are folding director chairs and a sturdy wooden table. There's a full hotel-style bathroom with quality amenities and a decent galley kitchen to prepare your own meals complete with microwave, fridge and all the utensils. At the moment the tents are without TVs (and may well stay that way) and are best suited to singles, twin share or couples. The expansive park has numerous quality accommodation options for families and those seeking more modest digs. 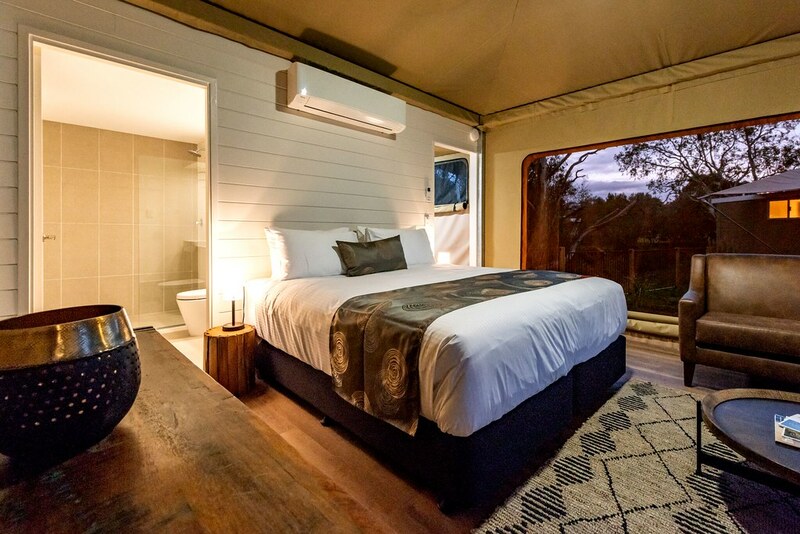 So while you're daydreaming about your African safari experience, whet your appetite at this authentic 'glampsite' just a short walk from Tanunda's main street. For more information and to book visit www.discoveryparks.com.au or call 1800 356 801. Even in the Barossa Valley, you’d be hard-pressed to find a better lunch spot than Elli Beer’s new ‘the eatery’ located in her mum’s ‘The Farm’ on Pheasant Farm Road at Nuriootpa. Opened last October, Elli has teamed with and renowned chef Tim Bourke, formerly of Kangaroo Island’s Southern Ocean Lodge, to create a bright new dining experience in what was the function centre. Tim’s daily menu derives from his favoured charcoal grill and is open for lunchtimes only, 7 days a week. There’s a wood-fired oven on the decking turning out super pizzas too. Plus you can book a private dining experience for up to 24 guests with an ever-changing ‘Feed Me’ menu.